It all got too much for the players of Pelileo SC at the weekend and they took their frustration out on the referee in dramatic fashion. Obviously questioning some of the refs decisions the players decided to enact retribution and attacked in a shameful fashion. Alike many football fights their wasn’t many upper-cuts or jabs but plenty of girly kicks and jumping around. The goalkeeper, “Maravilla” Martínez (white No.23) was antagoniser in chief and surely must be looking at a life ban from football. That being said his wide left sided attack may attract the attention of the army who may give him the option of another career. Although he was a slight favourite nobody expected Ricky Burns to dispatch Kevin Mitchell so brilliantly last night. The odds and pundits expected a 12 round decision but Burns k/o’d Mitchell in twice the 3rd round before the referee finally stepped in to the competition. It was a faultless display by Burns and should now look across the Atlantic for bigger paydays. Prior to last nights games it was feared that Deportivo Quito and Liga de Loja would be eliminated from the competition, especially as their Serie A form has been so dreadful. 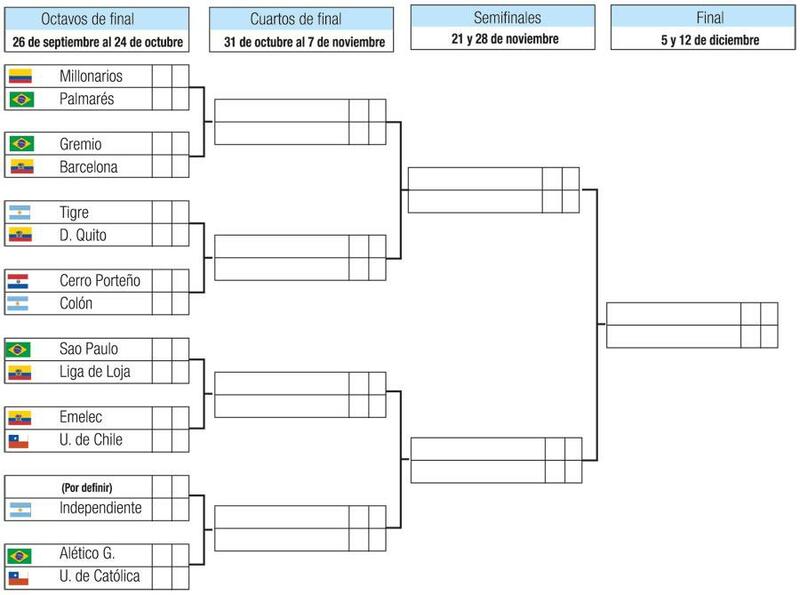 In the end all 3 teams progressed and with the strong likelihood that Barcelona will overcome Cobreloa tonight, it means that Ecuador will have 4 teams in the second round for the first time. The major surprise of the night was Liga de Loja who overcame Nacional of Uruguay 2 – 1 after losing 0 -1 at home in the first leg. It was an historic win for the La Garra del Oso (The Bear Claw) considering this is only their first foray into International competition. Their reward is a glamour tie with Sau Paulo of Brazil in the next round. Deportivo Quito put their hideous league form behind them to claim an impressive 3 -1 win away to Aurora of Bolivia.Quito were protecting a 2 -1 win from the first leg and progressed 5 – 2 on aggregate. The game was in the heady heights of Cochabamba (2,588 meters) but didn’t faze the Chullas as they controlled the game with the aid of a Bevacqua double. Deportivo will now travel to Argentina for a next round tie against Tigre. The night was rounded off nicely with Emelec progressing with a 0 – 0 draw against Olympia of Paraguay after a 0 -1 away in the first leg. The Guayaquil giants now face Universidad de Chile in the next month, 2011 champions. Although everyone is celebrating the Ecuadorian success it is proving to be a major headache fro the footballing authorities as the calendar is already behind schedule. The coming Internationa l weekend will only further complicate matters. On Saturday I managed to get along to the Atahaulpa Stadium for a double-bill. Two matches, one after the other and all for $10. Independiente are a small provincial team from Sangolqui, just outside Quito. Their stadium barely holds 8,000 people so they decided to move their home game against Barcelona to the Atahaulpa and its 35,000 capacity. El Nacional also plays their home games in the national stadium so their game was pushed back earlier in order to accommodate the masses supporting Barca. Even 3 hours before their game the Barcelona’s fans vastly outnumbered the other teams and they would continue to filter in throughout the first match. The first game was El Nacional vs Deportivo Cuenca. In the league table both teams were far adrift before this game in 8th and 9th position after a disappointing start to the 2nd term of the championship. To say the first half was pedestrian was an over-statement. Both teams knocked the ball about like it was a kick about on the beach, creating half chances that were either schlaffed wide or collected by the keeper. The teams seemed equally matched and created little chances until late in the game when two late goals changed the tempo. 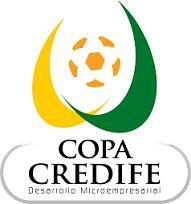 The first goal was created by the Cuenca keeper, Juan Marcelo Ojeda on 75 minutes. His long ball long from his box caught the on-running Nicolás Domingo who then then crossed into the box where the ball was turned into his own net by Johan Gomez. Juan Govea scored to level the match 10 minutes later. Although the second match ultimately had the same score (1 – 1) the match wasgenerally more exciting and played at a faster pace. In the first half Independiente were happy to let Barcelona attack and then pick them off on the counter. Both teams managed to knock the ball around well in midfield but their attacks broke down with over-hit crosses and miss-timed shots. Barcelona looked the more dangerous with Narciso Mina looking particularly threatening down the left wing with his direct runs and dribbling. Barcelona are notably more physical as a team and can bully other teams but Independiente looked equal to the Guayaquil giants and didn’t back down. The young team from Sangolqui were more than a match in midfield and really got stuck in, picking up a few yellows in the process. In the end Independiente took the lead through Daniel Samaniego, in the 76th minute but again of Bryan de la Torre got the equaliser 10 minutes later. To be honest I caught neither goal as the heat became unbearable and after over 4 hours in the Equatorial sun I had escape. Olmedo are their surprise leader of the table after 10 games. Ciclón Andino (Andean Cyclone) hails from Rio Bamba and is the oldest club team in Ecuador. 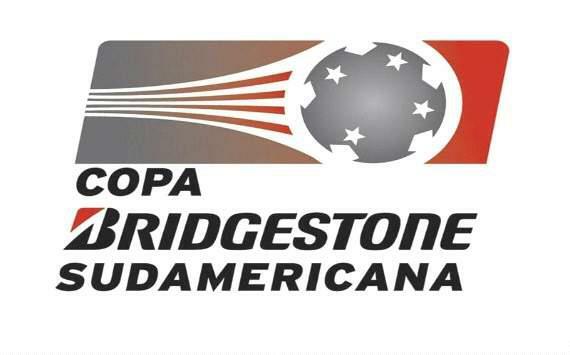 Despite this they have only won the current championship once in 2000 but have represented Ecuador 4 times in the Copa Libertadores. Their recent win against Deportivo Quito means they lead the table on goal difference but are still in relegation trouble as their cumulative points (over two terms) sees them in 2nd bottom overall. Deportivo Quito is still floundering at the bottom and in the midst of a real crisis. Unless they can turn around their dreadful form relegation shall also be threat. Macará 4 – 2 Manta F.C. There is a genuine strength to the Serie A this season with all teams taking surprising places. 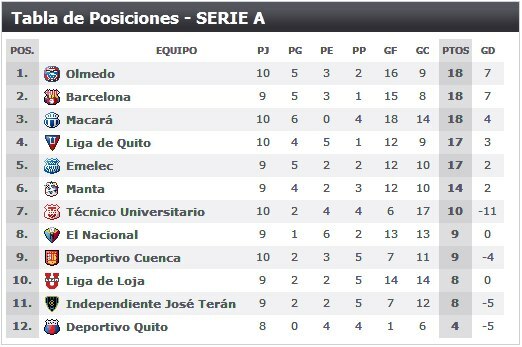 Usually the Guayaquil giants: Emelec and Barcelona would dominate along with Liga de Quito. This year however the smaller teams have stepped up to the plate and made genuine challenges to the status quo. Like many football mad Scots kids of the eighties I was Liverpool fan and Kenny Dalglish was my favourite player. Dalglish was a genuine super-star, a truly world class player the likes of which Scotland has never seen since. In addition to this Liverpool had Alan Hansen, Steve Nicol, Greame Souness and even John Wark and Gary Gillespie giving the team a sturdy Scottish spine. As a result I was a Liverpool fanatic. I had the shirts, school-bags, towels, cups and glasses, footballs and full bed-spread. I can remember watching the BBC with my folks as the dreadful events of Hillsborough filtered through. It was hard to comprehend as a 13 year old that so many fans had died after simply going to a football match. Last weeks independent report confirmed what all the fans of Liverpool and other clubs already knew: the authorities and the police were to blame and together with the odious Margaret Thatcher and her Conservative government they had tried to cover-up their culpability. The extent of the cover-up will eventually come out and the families of the 96 will finally get some sort of justice 23 years too late.